Kashmiri (Trika) Shaivism - Shiva-advaita. I have written extensively on Hinduism and its development earlier. This book is the normal development on the same theme, concentrating on the Dravidian Shaivism. 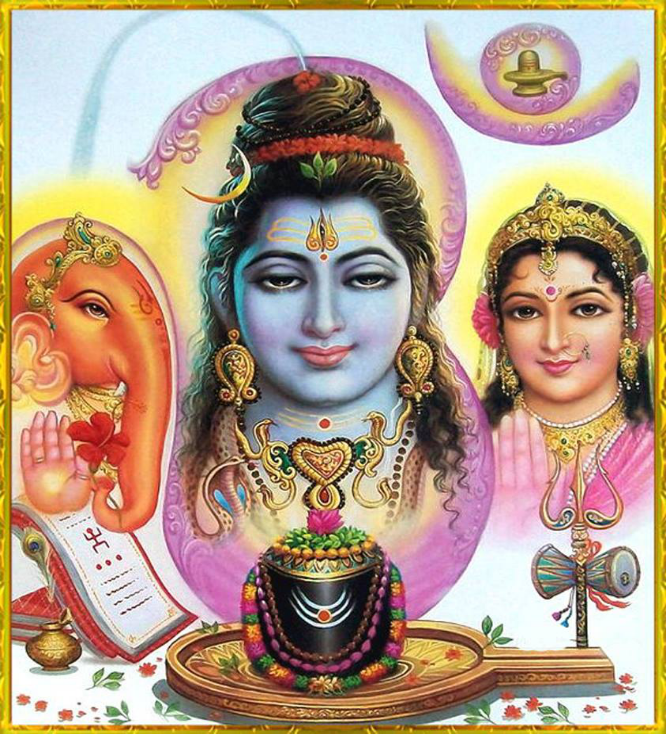 Shaivism or Saivism is one of the major religions of India, which is popular in South India and in all other areas where Dravidians are found. In my earlier studies, I have indicated that Dravidians are actually of the Hebrew-Semitic origin, being of the family of Eber, the great-grandson of Eber from whom the name Hebrew came. This will explain why Abraham took a wife from there and why he sent his children to the East when he divided his property. Based on this fact it is understandable that the religion of Indus Valley Civilization may have been the religion of Abraham. Was it? Since we have no documentations with us from this period we cannot make a definite statement on it. But it is certainly the best guess. When Japhetic Aryan whites entered in the area they brought with them their Vedic religion, and we have their oral traditions in the Vedas. It is only logical to think that there must be some reference to the God of Abraham in them. The Dravidian God is found in the Vedas as Rudra - the angry warrior, a God who is feared by his enemies. In fact, the very name Yhvh is found also in several parts of the Vedas as an epithet. However, by 750 BC the gods of Vedas literally disappeared from the religious scenario of Indus Valley. A new oral tradition of Dravidian ascetics known as Upanishads and Aranyaka identical to the Jewish Kabballah came into existence. This presented the God of Abraham as the only God and named Him as Brahman. The priests of Brahman were now called Brahmins in contrast to Vedic Priests who were known by other names. However soon after the beginning of the Christian Era, the Rudra who was the angry warrior God turned out to be called Siva - and was defined as love. Siva - “God is love.” This total 180-degree turnaround happens to coincide with the long toil of the Apostle of Thomas starting from AD 40 till AD 72. The reaction to this Christian God of love who incarnated in human form to die for the sins of the world came in the form of Gnosticism which followed Thomas also into India. In India, it was brought by Mani , the prophet who eventually became another son of Siva over and above Ganapathy (The Lord of Hosts). This was to be considered as a return of the original Thomas Way of Saivism to the Jewish Abrahamic concept of God. A comparison of the Saivism theology with that of Christianity will show the influence of Christianity from which it came into existence and with Judaism. It did undergo changes in structure and rituals which are sometimes difficult to compromise. However, we could still see the monotheistic emphasis and the emphasis on Bhakthi -and the clear Trinity concept of Father, Son, and Holy Spirit.